Central defender Clarke signed for Watford in the summer of 2005 from Leeds United. He played 36 times for the club over an injury hit two seasons at the club, joining Burnley for £200,000. He also played for the England u21s and QPR in a sixteen year career. Clarke spoke to Watford Legends in 2010 while still at Burnley. 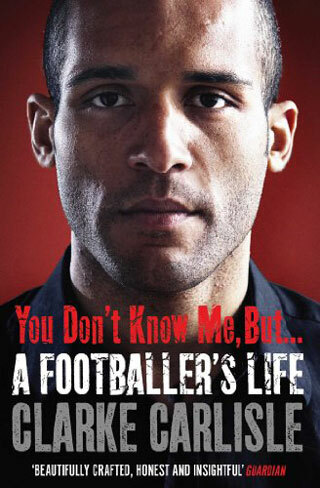 He published his autobiography “You Don’t Know Me, But…: A Footballer’s Life” in 2013. Hi Clarke, thanks for talking to Watford Legends. How did you become a hornet? It was without doubt because of Aidy Boothroyd – I have read his interview with you by the way to see if I got a mention! We obviously worked together at Leeds and we got on really well. Aidy has excellent values and was capable of putting on some great training sessions but he was very much undermined by Kevin Blackwell in the way that he treated Aidy and a number of other staff. It was despicable to say the least. As I said we got on really well and he said to me that he would love to work with me again in the future if the chance arises. Obviously the chance did arise when he got the job at Watford and I heard he was interested in talking to me. I was actually going to speak to Stoke at the time when I got the phone call from Aidy asking me to go down and see him. My wife and I were already settled on Stoke as we didn’t want to move back down south, and Stoke was about as far south as we would go but we decided to go and see Aidy just out of courtesy but with the full intention of saying “thanks, but no thanks”. I felt I owed him the courtesy of that from the relationship we had, but honestly within fifteen minutes we were sold on the idea completely. We were met by Aidy, Graham Simpson and Mark Ashton and between the three of them they made us feel so welcome and like we were wanted there. Not only was he interested in what I could offer Watford but he was equally keen to make me aware of what the club and the town could offer to me and to my family and also they were keen to make Gemma feel involved. They won us over in under fifteen minutes. It was an excellent welcoming committee. Just to clarify had you already spoken to Stoke by that point? Yes we had already met with them and just came down to Watford purely out of courtesy to Aidy and to tell him that we were really grateful but we also wanted to stay further north. You mentioned Kevin Blackwell treating Aidy badly which is something that we have heard before but what did the rest of the pros at Leeds make of Aidy with him being such a character? As you say he is a real character and he is also a really amiable guy. 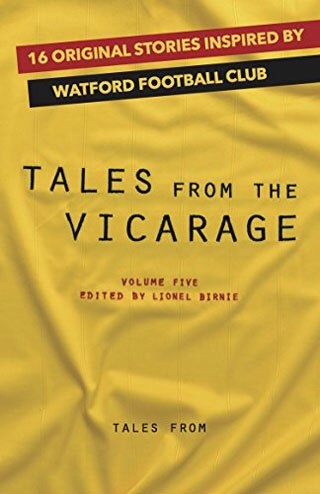 His charisma is very infectious and that was evident not only at Leeds but also at Watford. He came in and he was all bubbly and excited as he normally is but he was also very passionate about what he was doing and the lads loved that. There is always a mutual respect when you see someone who loves their job and takes a real pride in what they are doing. Everyone could see he was demonstrating that and we loved the sessions that he put on. But it happened on far too many occasions when Mr Blackwell would come bounding down and say “No that’s not what I want Aidy. You go and do the kids”. He would then take over and put on some terrible sessions. What was it like working for Aidy then at a club where he was the number one rather than a downtrodden coach, and obviously going on to enjoy that brilliant promotion season? It was magical. It was really difficult to put your finger on it at the time. But looking back, and hindsight is a wonderful thing, you could see that Aidy’s character, his passion and his belief – he just swept everyone up in it. The miracles you can achieve when everyone is pulling in the same direction are just phenomenal. Quite often now you will see what Blackpool did last season and what we did at Burnley a couple of years ago and I think Aidy’s Watford team was the first of that batch of teams where the total was greater than the sum of it’s parts. He got more out of every individual player than you could ever have thought. He made you believe that you will be successful, and he made you go out on a Saturday believing that you will win. He got together a group of players who either had something to prove or were just setting out in their career and trying to make a name for themselves. He got every single player believing that if they did as he said then they would be successful. He got a team around him that had so much respect for each other such as Martyn Pert who was a fitness coach and sports scientist – he taught me things that have helped me prolong my career. He also had Keith Burkinshaw who just wanted to play pure football and obviously Aidy wanted to be more direct. Between the two of them they struck up a balance and then of course there was David Hockaday who conveyed the message on a one to one basis that the lads would understand. The whole dynamic of that team worked very well and the most important part of it was that every member of the squad bought into it. Even though you had the likes of Marlon who was the twenty goals a season guy and would have been the big star name within the team but there genuinely was no star. Even Marlon himself would admit that it was very much a team and a squad dynamic and the guy who was at the top would help the guy who was at the bottom. We all know how fickle football is in that every week there is a new hero. We were always helping each other along for this ultimate goal. It was even more amazing what we did when you look at the depth of the squad. The people we were calling upon at times of injury and suspension were people like Toumani Diagouraga and Alex Campana so it was not like we were calling on seasoned professionals; these were lads that were fresh out of the academy. What we achieved during that season was outstanding. Was there any one game during that season where it really forced the message home and made you certain that we were going to be promoted? As much as all season I believed we were going to be successful, when we made the play offs I deemed that a success for the squad that we had considering the expense of it and also the abilities within it. Whatever was going to happen from there was going to be a bonus. I didn’t play in any of the play off games but I do remember watching the lads win 3-0 away at Palace and that was when for the first time I really knew that we were going to do this. Up until then I knew we were going to have a fantastic season but I didn’t know where it was going to end. When we secured a top six place it felt like a real achievement but that win at Palace was when the real ‘wow’ moment kicked in and I realised we were going up. Palace had beaten us twice in the league in the season as well so it was nice to beat them in the play offs. As much as you were loved at Watford, you did commit the ultimate sin by playing for L***n T**n.
Yes I went on loan for a month when we were still in the Premier League. I had already missed about six months of the season and so I needed the playing time. Did you have any doubts about going there due to the rivalry? Not really as I needed the football. My ultimate aim was to play football for Watford in the Premier League and if I was to do that then I needed to go out on loan and get some playing time. They were the first option available and I needed to go as soon as possible so I just took the chance. Geographically it meant I didn’t have to be away from my family and I could get four games of football in the Championship so it suited me well, and remember it was just a get fit option really so that I could then go and play for Watford’s first team. So there were no doubts for me. The reception I got for the first game was mixed I think it is fair to say. By the time I played my last game for them away at Burnley, which coincidentally was the game that made Steve Cotterill decide to sign me for Burnley, we drew 0-0 and the fans were a bit more receptive towards me then. It was for personal gain but that hard work had also benefitted them. Ha! Out of the four games I played there we didn’t win any and they still ended up getting relegated anyway! In all seriousness did you realise the magnitude of the rivalry as a lot of people not from the area don’t always realise what a big deal it is? It was only after I had signed for Watford that I realised what a big deal it was and obviously playing there in the same side as Springy who as we all know used to be at L***n, and because of his history with them I don’t think he ever won the Watford fans over completely which was harsh as he was an outstanding player. I would disagree with that. I thought Springy was brilliant for us and I don’t know of any other Watford fans that didn’t like him. I stand corrected that and it is good you think highly of him. His move back to Luton proved to be a very bad move and hasn’t been good for his career. That was a big mistake. You struggled at Watford with a bit of a bizarre injury if we recall correctly that lead to that lengthy time out. Yes it was an odd one; I tore my hip flexor which is right at the top at the front of your thigh and it is one of your kicking muscles – it is almost like a groin injury. If you were to go for a big lunge and go too far when you feel something tweak, that is it. I tore it and instead of healing with muscle tissue it healed with bits of bone in there. Obviously when you go and have a muscle scan they are scanning for exactly that – muscle tissue. It was only after about three months when I saw a specialist, and he must have experienced it before, asked me if I had taken an x-ray. Andy Rolls said no and asked why we should do it with it being a muscle injury. The specialist suggested we go and have the x-ray and so we did exactly that and that is where they found these bits of bone. For the next three months I wasn’t allowed to do anything as I was taking the medication to sort it. The medication was two months of effectively stripping my body of calcium and then one month of putting calcium back in. I couldn’t do any sort of activity as it was making my bones brittle and there was risk of a break or fracture. So during that time I had three months of doing bugger all. That third month of treatment was now my sixth month of the injury but was also the time when I could begin to pick up my training and work myself up to squad training and contact sport. Once you did return from injury your Watford career never really got started again did it? No I think that is a fair comment. I was fortunate enough to play in the last five or six games of the season and become a Premiership player and I also got to play in the FA cup semi final against Manchester United at Villa Park which was outstanding. I don’t think big Dan Shittu was best pleased about that but I do feel I earned my place in that team. Was your move to Burnley a result of you wanting to get back up north? It seemed a bit sudden at the time. It did come out of the blue. We had completed our pre-season and throughout it Aidy had played Dan and I as the centre halves and Jay had been on international duty. But then when it came to the first game of the season he played Jay and Danny. I went to see Aidy and asked him if that was going to be his first choice pairing and after about three meetings it came out that it was. I made it clear that I wasn’t happy about that and that I didn’t feel that at Championship level I was a third choice centre half, but I also made it clear that I would keep working to try and win my place in the side. We played the first three league games and then we had a Tuesday night Carling Cup game at home and as Aidy does with the Carling Cup he shuffled the team about. He told us the team that morning and I was starting. I arrived at the ground with my boots and my wash bag in hand and Aidy collared me at the door to the changing rooms and told me he had accepted an offer from Burnley and that I could go and talk to them. He also told me that now he had told me he didn’t expect me to play the game as he didn’t feel I would be in the right frame of mind, so I may as well just go home. You said that you weren’t happy being third choice centre half, but that also seems a bit of a sullen way of giving you the news that the club had accepted an offer for you. How did you feel about that? It was bizarre on a number of levels. I didn’t expect to be leaving then and overall I was enjoying my time at Watford. I thought Aidy rated me as a decent experienced pro to have around the place and around the squad. It was strange being told on a match day. I thought he may have let the game be played first as I was never going to go and speak to Burnley until the next day anyway so he could have told me after I had played. Either that or he needed the little money that he got for me and he didn’t want to risk me getting an injury and scuppering the move. I really don’t know but I just think it could have been handled better. I’ve discussed this with Aidy subsequently and I think he is in agreement with me. Aidy had a really profound effect on me at Watford and even at times when I wasn’t in the side I was still upbeat and feeling good, but when I left I actually did so feeling quite down on myself. My wife recalled recently how I felt at the time and I did feel that I wasn’t good enough for Championship level anymore and I would be lucky to get another deal at this level. I was 28 and felt I would be lucky to get a two or three year deal and then I could maybe hang around the league as long as I could. That was the effect of my last season at Watford, or the last four or five months at least. I didn’t believe I was quick enough, I didn’t believe I was astute enough in my positioning and these were all things that resulted from my meetings with Aidy as to why I wasn’t in the team and why I couldn’t get a new contract. But coming from there and going to a club that wanted me and a manager that appreciated me and filled me with confidence and I grew from there. Then when we changed manager and Owen Coyle came in it stepped up another notch and with the help of several other people I am a much more consistent performer than I have ever been. You played against Watford recently and came out with the points in a 3-2 win. I did, yes. It was harsh as well as I don’t think we deserved the three points. It was never a penalty was it?! I think it was! Anywhere else on the pitch it is a free kick so why shouldn’t it be a penalty? More often than not you do see infringements like that let go when they are in the box but they shouldn’t be. There was no need for ‘Tiny’ to try and push the back of Jay Rodriguez there. That game sums up how football is funny though. The four games prior to that we had played outstandingly well and managed three draws and a loss but then we played really average against Watford and win the game 3-2. The following Saturday we go to Aidy’s Coventry, play really well and lose 1-0. That was another eye opener actually, playing against Aidy’s team. When you are playing that football it feels very regimented and simplistic but when you are playing against it then it actually feels very anti football. There was no attempt to play football. Everything is just sent over the top, helped into the midfield and sent into the corners hoping to get a set piece or for someone to get on the end of a knock down. It was a real eye opener playing against it when I am now used to playing football under Owen Coyle and now Brian Laws and they try to play more open and expansive football. You make more errors playing the passing game but it is a lot more enjoyable to play in. Aidy’s football is very much percentage football and it will be successful to a point but as we found out in the Premier League it will only go so far. The players who play every week, year after year in the Premier League are doing so because they are very good players and not just when they have the ball. The pace is also frightening. There are very few slow players in the Premier League. When they suss you out as a ‘hoofball’ team then they just man up and they have the players to deal with it. They have the big centre backs and the full backs who are still 6′ and up and they can win the ball. Once they win the ball they then just keep it for fun. You got a good reception when you first came back to the Vic with Burnley. Yes I did and that was very nice. In fact it was fantastic. I don’t want to undersell how great it was. It is very easy to ignore it if you get a bit of abuse like I get sometimes at QPR then that can actually spur you on to a good performance. But when you get a real good reception like I did at Watford you appreciate it so much more as I know I gave everything I had whilst I was at the club and it is nice to know that the fans appreciated my efforts in my capacity on the pitch and I also like to think the fans appreciated my efforts off the pitch as well. I got involved with several of the community schemes there as I think it is important to try and give something back to a community that you are playing for. So when I got that round of applause it was really nice and I thank them for that. Well thanks for your time Clarke. Best of luck for the rest of the season, and Merry Christmas. Thanks lads. Merry Christmas to you and all your readers. Robbie Keane, but Stuart Barlow is a close second!